Stop Robbing Peter to Pay Paul, There IS A Better Way! Free Consultations, Evening and Weekend Appointments Available. We’re Here For You! We’re Here to Help, Let Us! Bankruptcy is frightening. Will I lose my home? My car? Will I be able to provide for my family? Will I ever be able to buy a house? You’ve done everything you can to stay afloat. To pay your bills as best you can. You’ve been robbing Peter to pay Paul for so long Peter had petered out. This is where we come in. We are here to help! A Better Way Bankruptcy is a debt relief agency that has been proudly serving individuals and families throughout the Detroit, Michigan area and suburbs for over 15 years. We pride ourselves on practicing bankruptcy exclusively. This means bankruptcy is ALL we do – and we do it well! These days it is even more important to make sure your attorney is well experienced in bankruptcy, not just “law”. You will find many attorneys who practice multiple kinds of law but don’t focus on any one exclusively. We do. bankruptcy and only bankruptcy. Our bankruptcy attorney and paralegals have over 50 years of combined experience exclusively in bankruptcy, Chapter 7 and Chapter 13, and all facets of the bankruptcy process. We have the dedication and experience to handle even the toughest of cases. 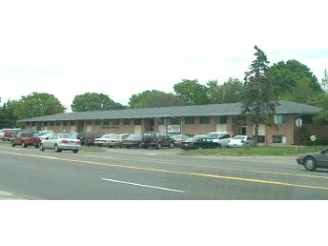 Our main office is conveniently located in Southfield, at 28860 Southfield Rd., Ste 162, Lathrup Village, 48076 in the Lathrup Square Office Plaza, just south of 12 Mile, close to I696 and the Lodge. 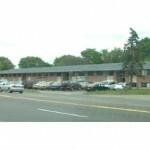 We also have a satellite office in Sterling Heights right by Lakeside mall. We do all we can to make this process as painless as possible. Let us help you find A BETTER WAY to a better life – Today! Call Now! To set up your FREE initial consultation for your affordable bankruptcy… Call 1-844-ERASE-BILLS ( 844-372-7324 ) today!